The Pullo Center at Penn State York welcomes Travis Tritt to its stage on Tuesday, February 24, 2015, at 7:30 p.m. Ticket prices are $54 and $39 and will go on sale September 5 at 10:00 a.m. Members can order now. Tickets can be purchased at The Pullo Center Box Office, charge by phone at 717-505-8900, or online at ThePulloCenter.com. 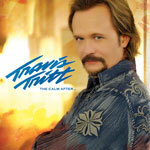 No sky is bluer, no air crisper, no leaf greener than after a storm, and Travis Tritt is adding a musical addendum to that list with the release of The Calm After …. Part metaphor and surprisingly literal, the title is reflective of a fresh and focused start for one of the most successful and acclaimed musical creators of his era. The tumult his music has come through to get this point, however, is very real.